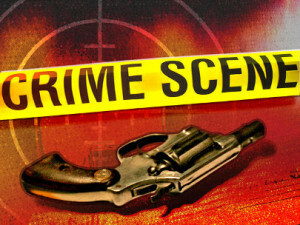 A man was shot in the chest early Monday morning in Santa Maria. He is in critical condition, according to the city’s police department. Shortly before 1 a.m., the gang related shooting occurred on the 900 block of West El Camino. Officers found the victim suffering from a single gunshot wound. Police have yet to locate a suspect or suspects. The incident marked the third shooting in Santa Maria in the last three weeks. Both of the previous two shootings resulted in fatalities. Early on Sept. 3, a 19-year-old Santa Maria man was shot and killed in the 2000 block of North Lazo Way. It is unclear if police have identified a suspect or suspects in the murder. Last month’s murder was the first homicide in Santa Maria this year. In 2015, the city had 13 murders, and in 2016, there were at least nine homicides in Santa Maria. Anyone with information about Monday morning’s shooting is asked to call the police department at (805) 928-3781 extension 2278.